Square D brand QO miniature circuit breakers are plug-on products for use in QO load centers, NQOD and NQ panelboards, NQOD and NQ OEM interiors or Speed-D™ switchboard distribution panels. Bolt-on QOB circuit breakers are for use in NQOD and NQ panelboards or interiors.a The Square D exclusive Qwik-Open™ mechanism, with a trip reaction within 1/60th of a second, is standard on all 1P 15 A and 20 A QO circuit breakers. QO Arc-Fault Circuit Breakers provide protection for Series and Parallel Type Arcing as required by the NEC and local code adoption, and comply with UL1699. QO-HID circuit breakers are for use on circuits feeding fluorescent and high intensity discharge (HID) lighting systems such as mercury vapor, metal halide, or high pressure sodium. 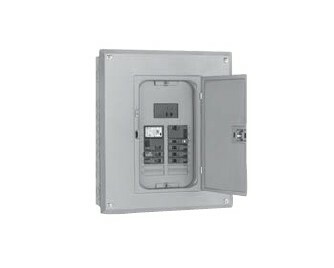 These circuit breakers are physically interchangeable with QO circuit breakers. QO-GFI Qwik-Gard™ circuit breakers provide overload and short circuit protection, combined with Class A ground fault protection. QO-EPD/EPE circuit breakers provide overload and short circuit protection combined with Class B ground fault protection. QO Plug-on Neutral Load Centers and CAFI Breakers connect are engineered for a quick Plug-on Neutral connection on every unit. Download the Square D Circuit Breakers & Load Centers brochure below or call 714.835.6211 for more information.